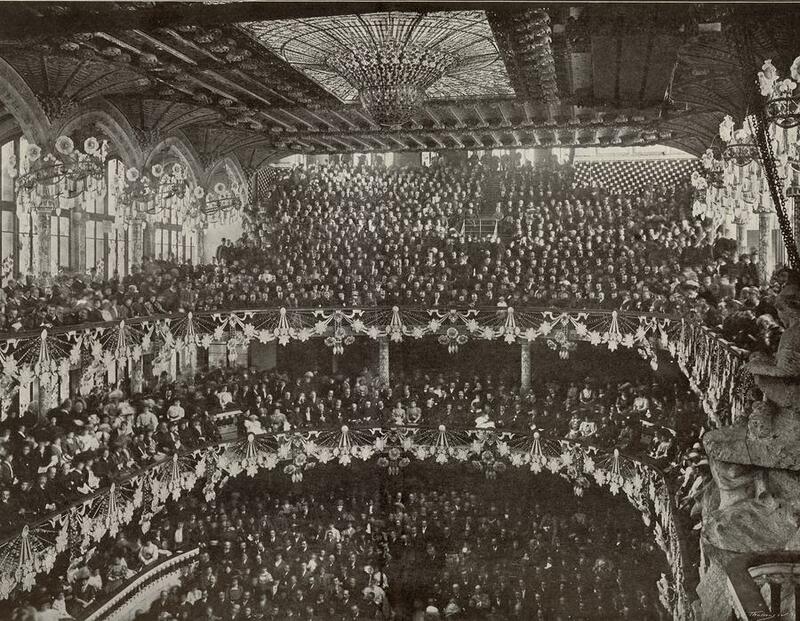 Concert presenting the Orfeó Català in Academy Nocolau, Barcelona, on April 5th 1892. 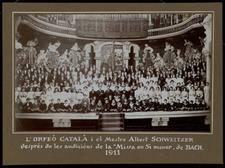 Portrayal of the singers of the Orfeó Català at the special concert of religious choral music at the Teatro Lírico, Madrid, 4th April 1897. 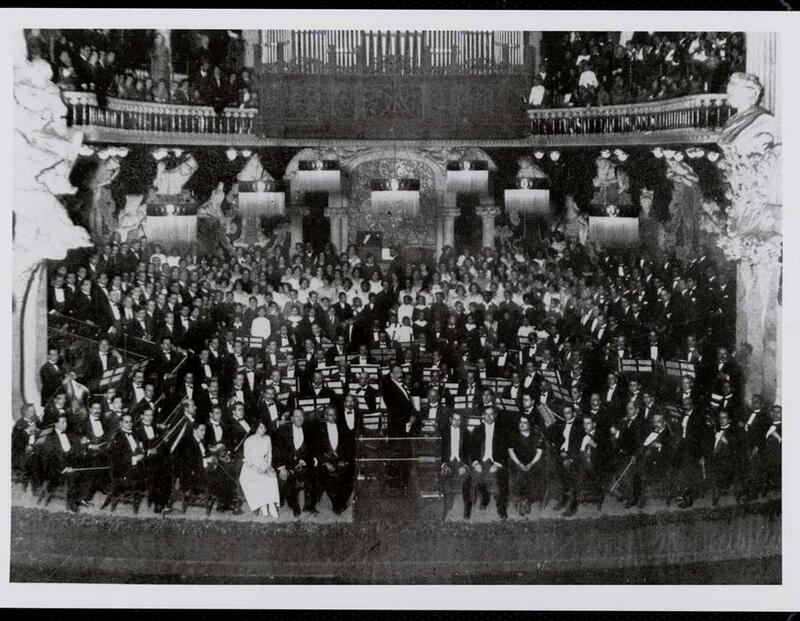 Inaugural celebration at the Palau de la Música Catalana, on 9th February 1908. 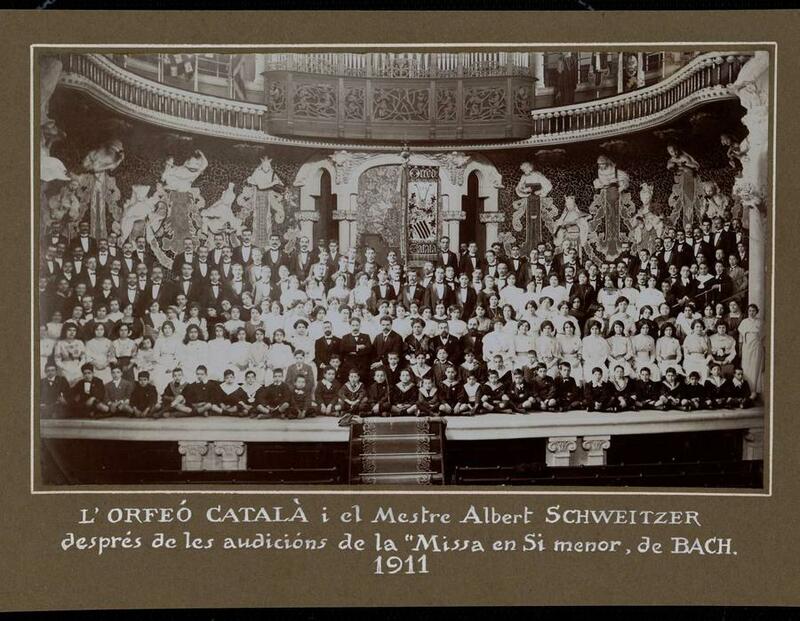 First performance in Spain of Bach's great Mass in B minor de Bach, on 19th November 1911. 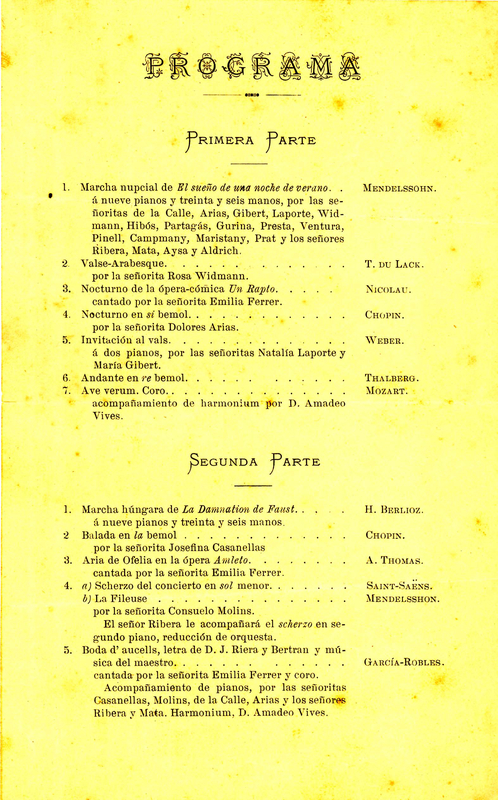 Programme for the first Saint Stephen's Concert, on 26th December 1913. 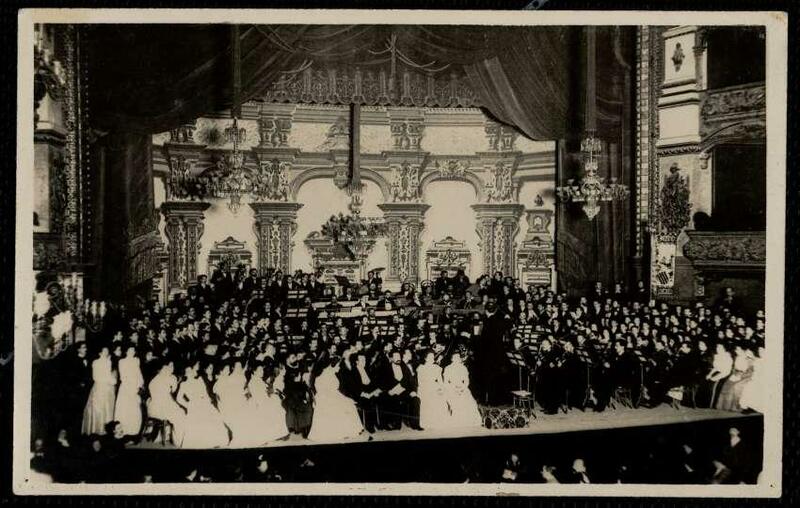 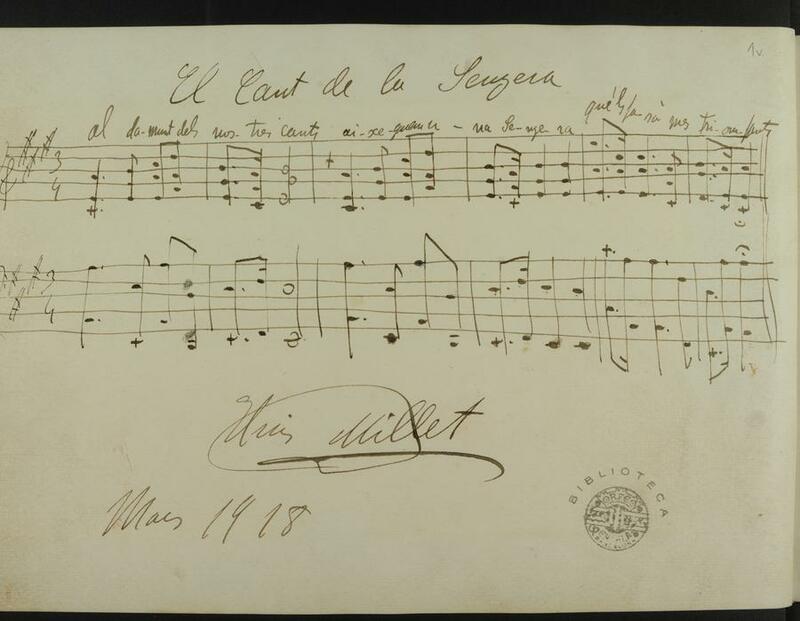 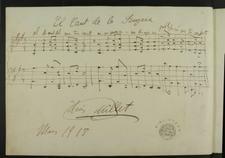 Opening bars of El cant de la Senyera, premiered in 1896. 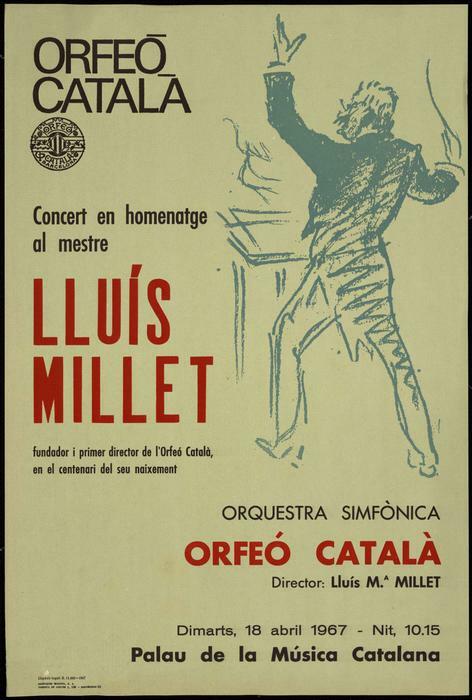 Signature of Lluís Millet in the Llibre d'Or de l'Orfeó Català. 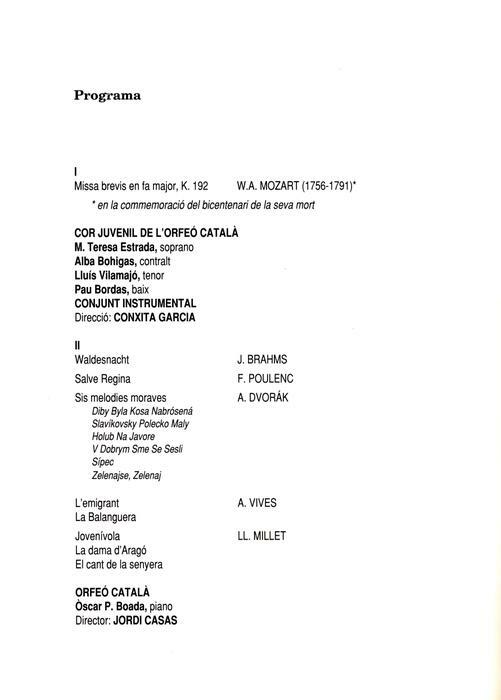 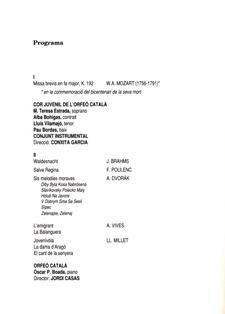 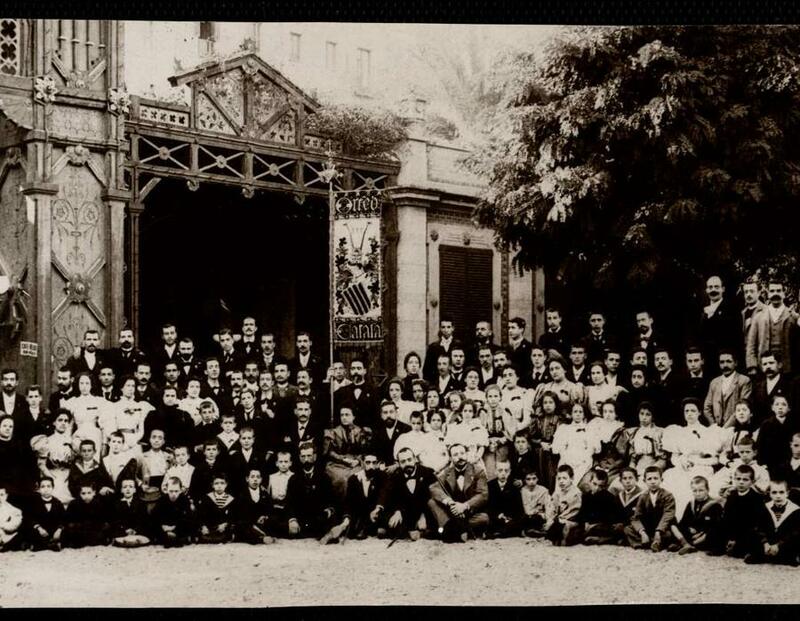 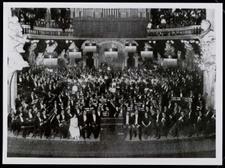 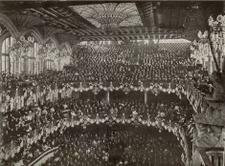 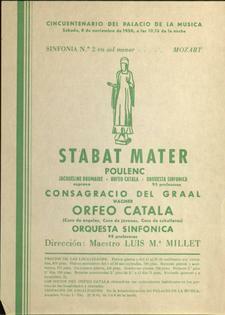 First performance at the Palau de la Música Catalana of Bach's Saint Matthew Passion, 27th February 1921. 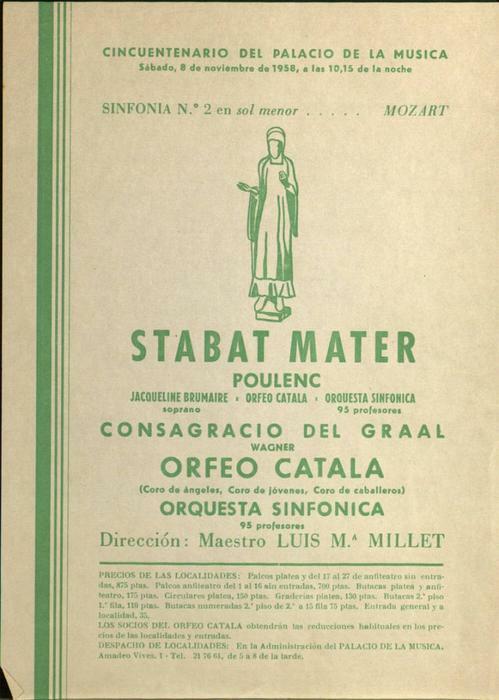 Concert programme for the first performance of the oratorio Stabat Mater by Francis Poulenc, on 8th November 1958. 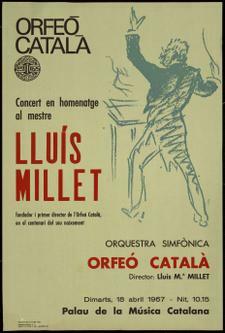 Concert in homage to Maestro Lluís Millet, founder and first director of the Orfeó Català, on the centenary of his birth. 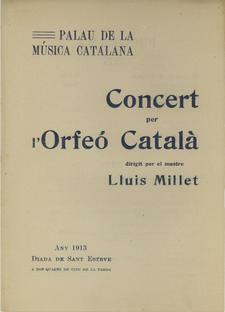 Palau de la Música Catalana, 18th April 1967. 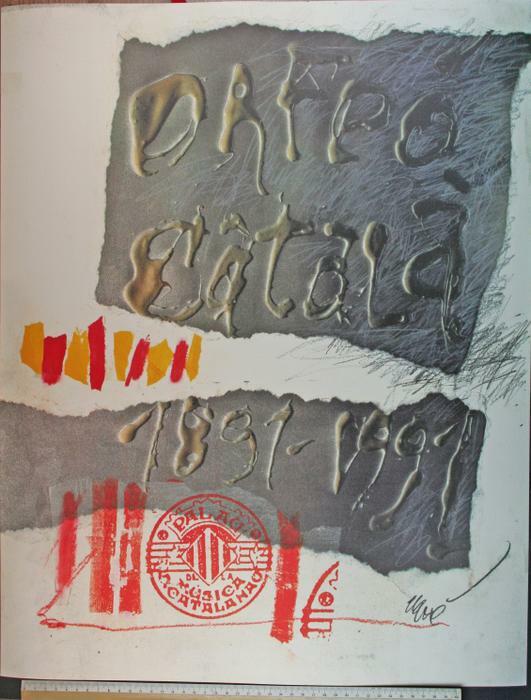 Poster announcing the Centenary of the Orfeó Català (1891-1991). 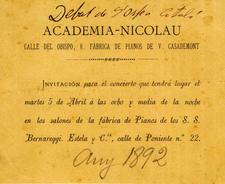 By Antoni Clavé. 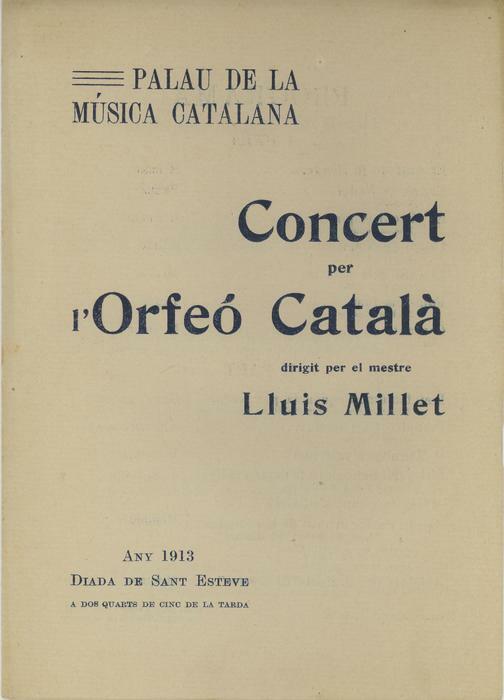 Concert commemorating the Centenary of the Orfeó Català, dedicated to its Members. 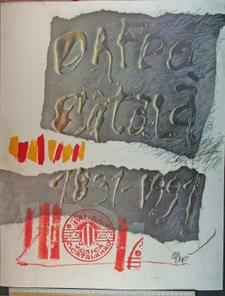 Palau de la Música Catalana, 18th June 1991.